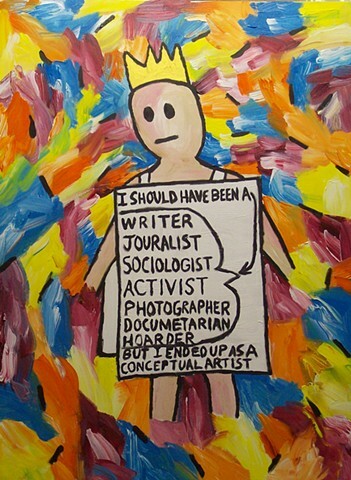 "The Emperor's New Clothes", is about the hypocrisy seen often in the art world. these things bad, I just think a different name or category is in order. I will not blindly accept what I am told is art.